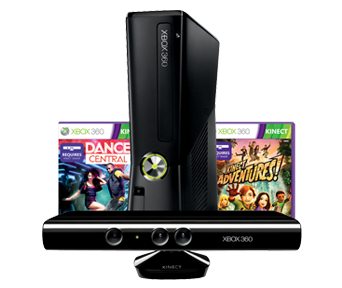 Kinect is accurate enough just the way it is, says Microsoft. Microsoft has denied rumors that it is planning to increase the resolution of Kinect's cameras from 320 x 240 pixels to 640 x 480 pixels, quadrupling its accuracy in the process. The rumor suggested that Kinect's current resolution wasn't a limitation of the hardware, but rather a software limitation imposed by Microsoft, and that by increasing the rate of data transfer, it could give Kinect the ability to track fingers and hand rotations. In a statement to CVG, Microsoft said that the rumor was "completely unsubstantiated," and that while it was always working to improve its products and services, it was satisfied with the current level of fidelity on Kinect. The spokesperson added that consumers clearly had no problems with it either, as they'd bought millions of units in just a few short weeks. Despite its denials, it's not hard to imagine that Microsoft has built a way of changing Kinect's accuracy into the device so that it can respond to developer and consumer feedback, much like Sony has with the PlayStation Move. If anything, it's even more important for Microsoft that Kinect be adjustable, because it can't really add anything to it, like the Nintendo did with the MotionPlus add-on for the Wii Remote. Of course, if this is the case, Microsoft isn't going to start tinkering with things until it has to, which isn't a month and a half after release.